Most any task can be broken down into a series of more manageable steps– discrete tasks within the larger task, that, taken individually, are not overwhelming. 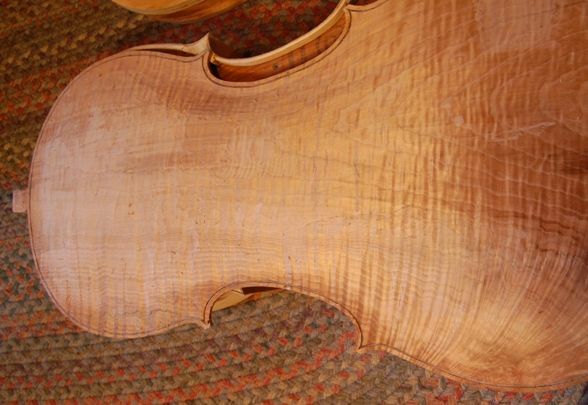 Henry Strobel took the job of making a violin, viola, or cello, and separated all the individual tasks into a very manageable series of small incremental steps. The key book is the one on violin making. The others are keyed to that manual. Each book includes a pattern (two, in the cello book), and each gives a no-frills approach to instrument making. Henry follows traditional methods, mostly using hand tools, and using all traditional procedures, aesthetics, materials and varnish. There are other books more glitzy, more encyclopedic, more scholastic, and much, much more expensive, but Henry Strobel’s books are imminently practical, and affordable, clear teaching. If you can actually read carefully and follow directions accurately, you will probably produce a pretty respectable instrument on your very first try, especially if you can find an experienced maker willing to coach you when you are trying something completely new to you. I know a young man who built his first violin from this series, and it is currently being played by a first violinist in the local city orchestra. He then proceeded, for his second instrument, to make a cello (a stunningly beautiful cello) and now is playing that cello in the same orchestra, himself. He had zero prior experience with woodwork, and there were some frustrating times, learning to sharpen tools, etc. But he managed to complete both instruments, and both are quite good. Because I started with Henry’s books, myself (though I have gotten many others since then), I still suggest these books for the beginner. 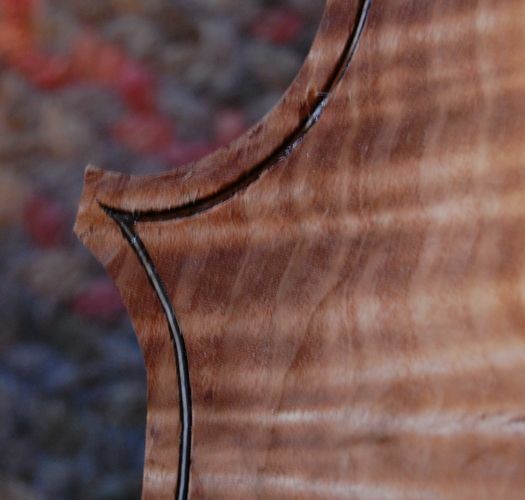 I also recommend that you start with a violin or viola, as I can nearly guarantee you will break a rib (or three) while learning to bend ribs, and it is much easier and cheaper to replace broken violin ribs than cello ribs.